The recent Sri Lanka budget brought great news for overseas property investors, as the 15% land leasing tax is being axed for foreigners. At the same time, Sri Lanka’s Finance Minister Ravi Karunanayake announced the approval period for foreign direct investment requests is being cut to 50 days. Previous laws banned foreigners from owning property and real estate leased to non-nationals was subject to 100% tax. It also paved the way for the creation of Sri Lanka’s first Real Estate Investment Trust, as an alternative means of investing in the sector. The Government is also considering aiding the construction sector by removing import duties for machinery such as cranes and concrete mixers. Combined with the revision of taxes on building materials, this is expected to reduce the cost of construction. The news has been welcomed by overseas property experts including Sanjana Fernando, Chief Executive Officer of apartment listing website, WolvertApartments.com, who says the changes signal the fact that the country is now open for business and is set to receive a strong boost in overseas property demand. Fernando tells OPP.Today, “Not only do the changes to the land leasing tax have a positive impact on a financial level to foreign land lessees, but the move by the new pro-West Sri Lankan government is also very symbolic. 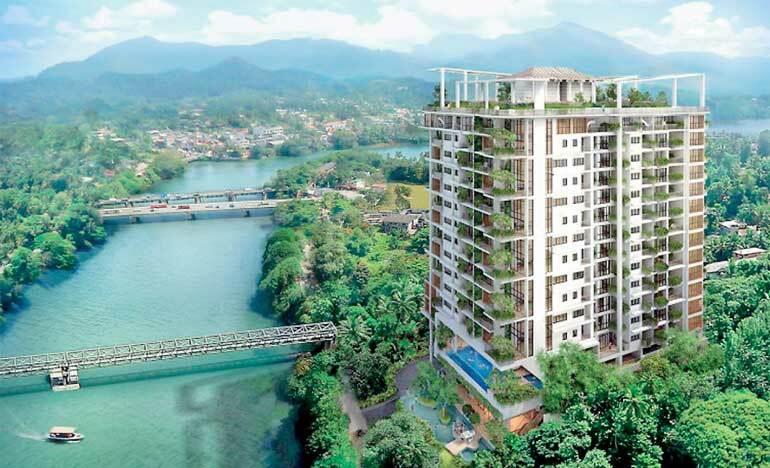 WolvertApartments.com has one of the largest collections of new apartment projects in Sri Lanka listed by developers, and features properties mainly in Colombo but also in other rapidly growing cities including Rajagiriya, Kandy and Jaffna. Most demand for property on WolvertApartments.com comes from expat investors in Britain, particularly among medical professionals, he says. “The UK has the largest concentration of educated and financially capable expats, mainly doctors and surgeons, from Sri Lanka. The above factor coupled with the long depressing weather in the UK, drives most expats to invest at least in a holiday apartment in Sri Lanka. The idea of creating Sri Lanka’s first investment trust is good news for both investors and developers, he explains. “As a young investment banker at HSBC in London, I was involved in the IPO of one of the largest REITs in the Istanbul Stock Exchange. International investors are already turning their attention to Sri Lanka’s booming residential and commercial real estate sector. As a result of rapid urbanisation, Colombo is no longer the sole attraction, with businesses looking to set up in cities such as Kandy – soon to become the country’s first smart city. The removal of land lease tax is expected to encourage more non-nationals to invest with ease in the growth and development of Sri Lanka’s smaller cities. As property prices in central Colombo are much higher than in the suburbs or Sri Lanka’s second-tier cities, the reduction in construction cost takes a step toward increasing the number of affordable properties within city limits. Hugh van der Kolff, Managing Director of emerging property specialist, Lamudi Sri Lanka, agrees that the budget opens up a number of opportunities for Sri Lanka’s already-growing real estate sector.